This area down the third base line is now available to rent each game. 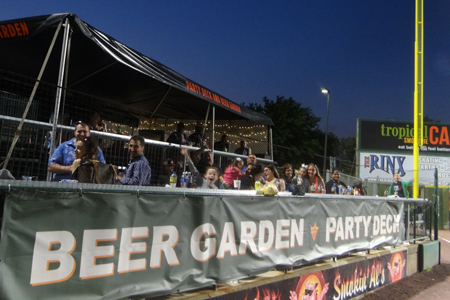 The Smokin' Al's Party Deck is ideal for entertaining clients, employees and friends. BE READY FOR FOUL BALLS! Your group of 40 will be able to enjoy the game mere feet away from your favorite Ducks players! CLICK HERE to view the 2019 Suite and Catering Menu, courtesy of Centerplate Catering. 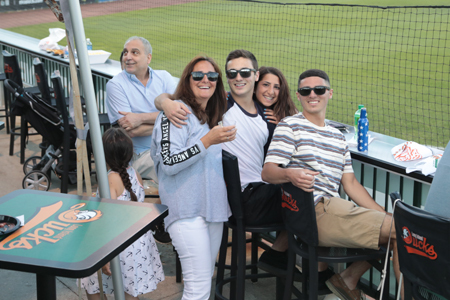 For additional information on the Smokin Al's Party Deck, please contact The Long Island Ducks Group Sales Department at 631-940-DUCK (3825), email us at tickets@liducks.com, or fill out the form below.